DayZ creator Dean Hall working on "wild mass multiplayer ideas"
DayZ creator Dean Hall has big plans for his next project, and even though he hasn't actually said anything about what they are just yet, he did recently offer some interesting insight into how he's going about bringing them to life. In a recent blog post, he wrote that he's working with technology company Improbable on a new multiplayer project that he called "the most exhilarating thing I have ever done." The decision to walk away from DayZ was extremely difficult, but Hall said he realized during his journey to Mount Everest last summer that its success had put him a position where he could make games "from an entirely economically independent standpoint." "I sold DayZ to Bohemia, I was working with them as a contractor, and that contract had ended. I was becoming a problem. The danger was there for me to be a burden on DayZ’s development," he wrote. "My ideas are radical. I have no interest in half measures. I do not want to make safe games. I do not want to make games the way we have been making them. I want to fail as often as I need to in order to deliver the kinds of games that I actually want to play." At some point last year, Hall came into contact with Improbable, the company responsible for the technology behind Bossa Studios' early-but-intriguing Worlds Adrift. "My first meeting with Herman Narula, the CEO from Improbable, was one of the most surreal I ever had. The technology I had always wanted and tried to make was finally here," he continued. "DayZ was born out of my aborted attempts to make a database architecture to support my wild mass multiplayer ideas. But now, I didn’t need a ten year plan to make my grand visions of multiplayer come true. I could do it now." 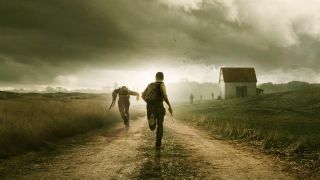 It's not unusual to hear developers talking about making games they want to play, but Hall's success with DayZ gives the sentiment a little more weight than it otherwise might have. It's also interesting, and even exciting, to hear him speak of Improbable's technology with the same sort of "breaking new ground" breathlessness as Bossa. None of which amounts to a guarantee of a good game, but it's definitely one worth keeping an eye on.